The African Fertilizer and Agribusiness Partnership (AFAP) was founded to bolster the markets that provide inputs to smallholder farmers and contribute to an African Green Revolution. AFAP is an independent nonprofit created by a partnership of African development organizations. It builds on the work of the Comprehensive Africa Agriculture Development Programme (CAADP), a framework for achieving ambitious agricultural development goals set in place by African nations and leaders. CAADP was founded in 2003 as part of the New Partnership for Africa’s Development (NEPAD). Its purpose was to eliminate hunger and reduce poverty by growing the agriculture sector in Africa. The CAADP approach places African leadership at the forefront of efforts undertaken by national governments, civil society and development partners. It has become a new model of country-led development that has influenced how donors provide assistance to the African agriculture sector. Among the CAADP priorities is a call for increased use of agricultural inputs, including fertilizer. AFAP sees its work as a contribution to CAADP’s aim of bolstering fertilizer markets and engaging the private sector in realizing goals set by African leaders. So far, the Alliance for a Green Revolution in Africa (AGRA) has committed to providing AFAP $25 million to establish a regional fertilizer and agribusiness development unit, coordinate with partners and begin direct financial, technical and managerial support to the fertilizer industry in Ghana, Mozambique and Tanzania. AFAP is seeking additional support so it can expand its operations, bringing the power of public-private partnerships to smallholder farmers throughout Africa. Agriculture is a vital part of Africa’s economy and a necessity for feeding the continent and the world. But low farm productivity remains a stumbling block in many regions. The smallholder farmer can contribute to the growth of Africa’s agricultural sector and enhance food security. But to thrive, farmers require more reliable and more affordable inputs, including fertilizer. AFAP works to establish more competitive and sustainable fertilizer markets. But rather than rely on traditional development paradigms, AFAP believes that a united public and private sector can strengthen the marketplace and encourage consistent and responsible fertilizer use. AFAP unites the expertise and dedication of the public and private sectors to increase agricultural production, reduce food insecurity and support African smallholder farmers. Using an innovative partnership contract, AFAP joins industry and development interests to inspire productivity and prosperity in Africa. Increasing the number of fertilizer users by 15 percent. At least doubling total fertilizer use in the countries where AFAP works. Introduce new fertilizer suppliers to new markets and provide expansion assistance to those already in business in the countries where AFAP works. Add new or improved blending or granulating plants in each country where it works. Increase the number of metric tons of capacity available for fertilizer warehousing. Develop new and improved retail and cooperative storage facilities that can bolster the number of metric tons of fertilizer storage available. To accomplish its goals, AFAP offers private agribusinesses incentives and assistance as they invest in Africa’s emerging fertilizer markets. In return for this assistance, private agribusinesses commit to making substantial development contributions that will benefit company bottom lines and African farming communities. AFAP also connects entrepreneurs and business leaders with development organizations that have proven track records in providing African smallholder farmers with the incentive, initiative and capability to source and use fertilizer. 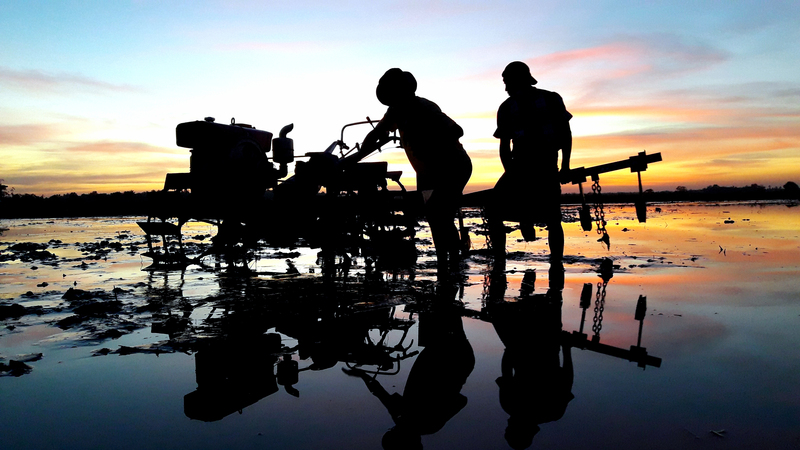 Agribusiness contributions could include making infrastructure improvements, bolstering local farm cooperatives, providing technical assistance to agro-dealer associations or offering trade credit to local retailers. The mechanism that allows AFAP to unite the expertise and dedication of the public and private sectors is the Agribusiness Partnership Contract (APC). The APC is available to eligible international, regional and local agribusinesses that want financial, technical and logistical assistance as they make inroads into emerging African markets. The contracts are structured to be flexible while providing benefits to businesses and communities.